August, 2018 – The Morgan Companies (“TMC”) has several development projects underway. Below are photos and brief updates. Photo taken July 16th, 2018. Construction is well underway at Brandy Creek Commons, a 67,500 square foot shopping center development in Mechanicsville, VA. Publix will anchor the center and is expected to open 4th Quarter 2018. Other tenants include Five Guys, MOD Pizza, PetValu, Hair Cuttery, and VA ABC. 4,600 square feet of small shop space remains available. For more information about Brandy Creek Commons, please click here. 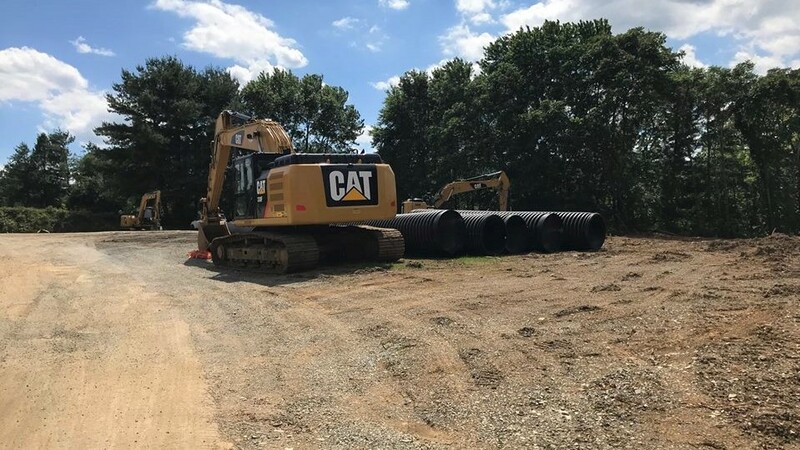 Site work is nearly complete at TMC’s Sheetz development in Daleville, VA. The 2.477± acres of land at the SWC of Roanoke Road and Catawba Road will soon be the location of the first Sheetz in Botetourt County. TMC successfully obtained a rezoning and special use permit from the county to allow for the development of the project which will feature a drive-thru, car wash, and 10 fueling stations. Site work is expected to be completed by the end of August, and Sheetz is scheduled to open 1st Quarter 2019. Note: Rendering for Illustration Only. Design, Dimensions, Tenants, and the location of signs and doors is subject to change. 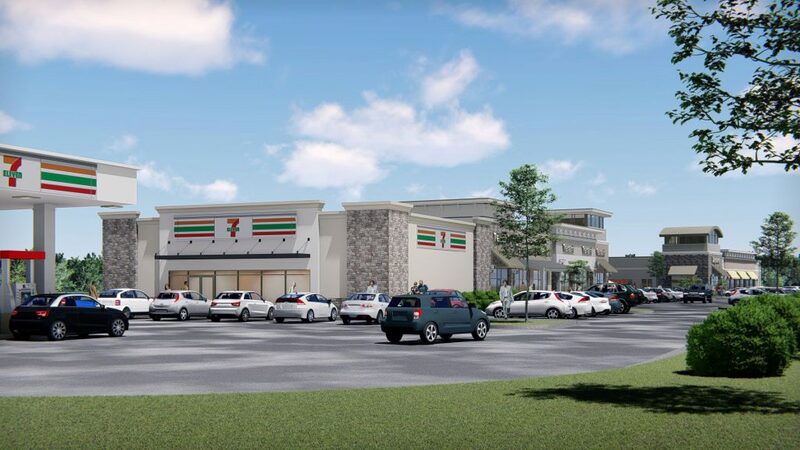 Site work is complete at TMC’s 7-Eleven and retail development in Bristow, VA. Construction on the 7-Eleven building is expected to begin soon. TMC is currently working on a development plan for the second phase of the project, which includes 2.88 acres of retail.